A story which move minds is rarely available but when it is visible, it lifts the veils of common notions. Dr Amit Shankar Saha shares his journey with Saikat Majumdar's book 'The Firebird' with bookworms. 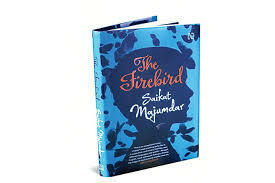 We hope you will read Ori's story and get transported into his conscious revealing the excellent vision of Saikat Majumdar through his characters in The Firebird. 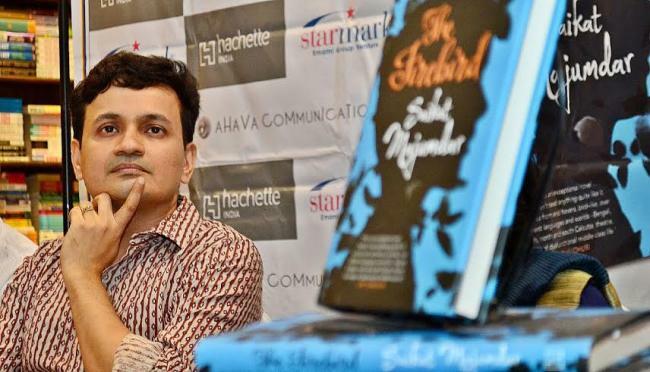 If a novel comprises of a captivating story, a sincere treatment of that story by the author and a synergy between the two, then Saikat Majumdar’s The Firebird comes out trump on all counts. The book has a scintillating story-line with a brooding narrative, each a counterpoise of the other, producing a paradoxical enigma, which is so good in black. Oritro or Ori, the child protagonist of the novel, has, perhaps, his origins in William Golding’s The Lord of the Flies, and not so too because he is not exactly beyond the periphery of familial and social control. Yet there is something innocently sinister about him, a self-created ominousness albeit arrested by situations. Oritro is instrumental in precipitating the tragedies of Garima and Shruti, and he is not just a catalyst because he is very much a part of those tragedies. There is a lurking doom in him and even though he acts on will, he does not do so with intention as his will is somehow subverted by circumstances. The story is set in the decadent professional theatre scene of the 1980s north Kolkata (or Calcutta as it was then). Garima Basu is arguably the last of the stars of the stage that is existing in its death throes. Her family consists of a moping husband (Srijan), a disapproving mother-in-law (Mummum), a derisive sister-in-law (Rupa), a star-struck niece (Shruti) and an apparently indifferent son, Oritro. But the family is not just that because soon the neighbourhood crosses the threshold of the personal and the private. Trinankur, the local councillor, is at the helm of local affairs and has support of The Party. Soon what was to remain in the confines of the family comes under the orbit of the local, in an emergent effort to wipe out the decadent culture represented by the professional theatre and often by applying means and methods that themselves represent a sort of decadence. Abir, Tatai, Dushtu and even Oritro become the perpetrators of the treachery of values in the name of morality. But Oritro is an exception in that line up as he is a child of just ten years and a child of disaster too. It is prophetic is the first sentence of the book itself - “Disaster came early in Ori’s life, at the age of five, the first time he saw his mother die.” So, when towards the end of the book, he subjects Rana, the son of Pallabi, the make-up artist turned actress, into a more or less similar experience, the child’s reaction gives a throwback on Ori’s reaction and upholds the power that the stage exercises, despite its decadence, over an unprejudiced mind. It is this power that makes a character like Ahin Mullick fall into psychological lows and is so well metaphorically represented by the underside of the piston-lifted stage of The Pantheon. Garima Basu’s tragedy is inevitable, Shruti’s is incidental, but what about the tragedy of Oritro? He remains very much alive till the end but only as a stoic figure. Oritro is an adolescent boy but he has stumbled into adulthood too early for his years. Once in the middle of the story, Oritro finds himself in the shrine outside Trinankur’s house where he encounters Trinankur’s son Subhankar, who suffers from muscular atrophy and is wheelchair bound. Suddenly Oritro feels an irrational desire to sit on Subhankar’s chair and be wheeled around. It is, perhaps, one of the few times that gives a glimpse that Oritro is still a child. Lacking in proper motherly love and care, he hides his guilt and becomes apparently indifferent towards his conscience too. At the launch of the book the author was posed a question on whether he felt pangs of conscience while portraying such a character. No doubt he did, but what is an author who cannot do so and yet write. Saikat Majumdar’s ability to go into the deeper interstices of his characters is remarkable. And so is the richness of the book, which even in its slim volume is insightful in its exploration of a period in time, a place in time, a decadent culture in time and yet not losing the timelessness of the story. In a symposium on literary activism in Kolkata last December, Saikat Majumdar spoke on the role of the amateur in shaping the bildung or culture of the society. Probably, the advent of amateur theatre groups, which had the support of The Party, shaped the demise of the professional theatre in the city. The Firebird depicts the irony of it. But the novel is still more. It is the story of a mother and son, a story of the private and the public, a story of psychological interludes and political reality, a story of underlying violence of life and living, a story of multiple interpretations and a story of tragic proportions tendered with a sympathetic treatment. The Firebird is dark, much like the purported silhouette of Ori on the dust jacket, but it is so good in black. Amit Shankar Saha is poet and a postdoctoral researcher. He has a Ph.D. in English from Calcutta University. His research work focuses on diasporic Indian writing. His research articles, poems and short stories have appeared in various journals and magazines in India as well as abroad. He is the joint coordinator of Rhythm Divine Poets group. Thank you Sufia for posting my review in your blog.